The legal system in the Isle of Man does not allow the use of "No Win No Fee" services, which does keep the Island free from the Ambulance chasing strategy employed on the mainland. However, what do you do after an accident in which someone else is to blame? 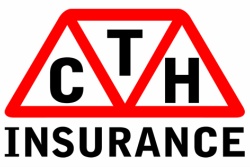 The CTH Insurance 5 Star Claims Assistance Service is here to take the hassle out of your hands. This service is available for just £10.00 per vehicle and is offered to all of our vehicle policyholders. Basically, CTH take over the recovery of your "uninsured losses". These losses are normally policy excess's, car seats or other damaged vehicle contents and other losses which can have a monetary value applied to them. The service will also provide a stepping stone for anyone needing to take matters further to the small claims court or on to a Manx Advocate. We have a selection of legally approved correspondences which can pave the way to making injury claims which must always be carried out with the assistance of an Advocate.